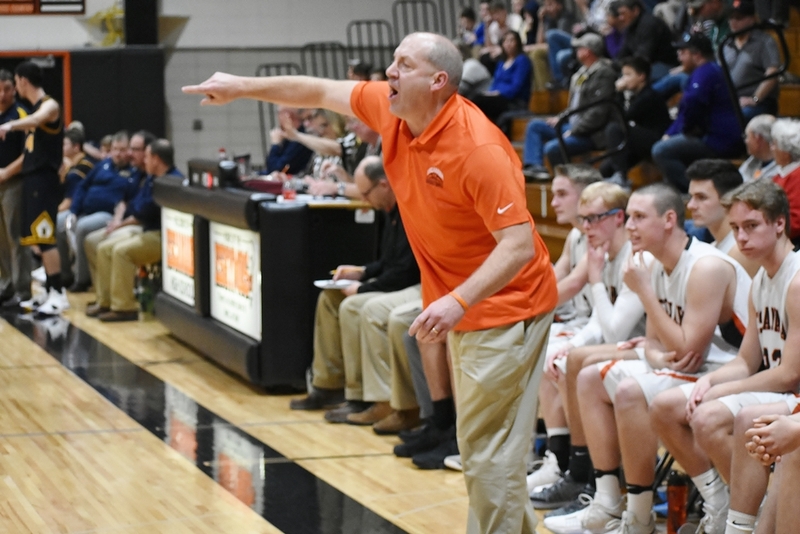 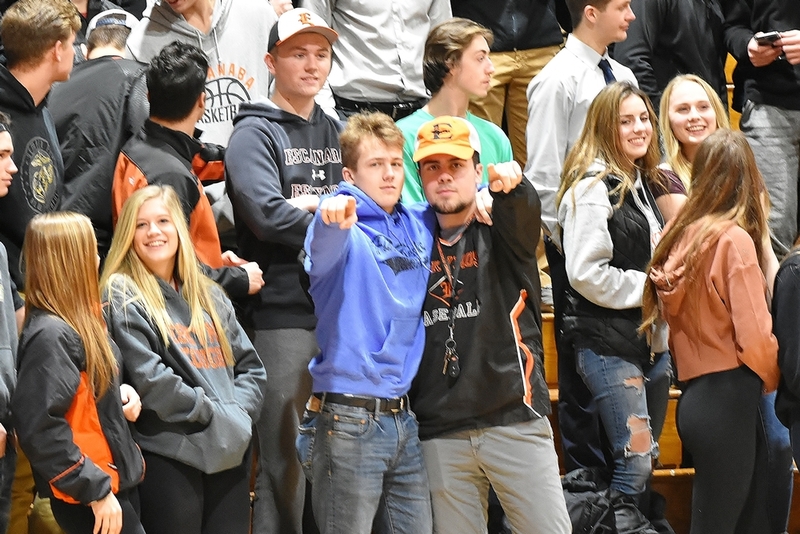 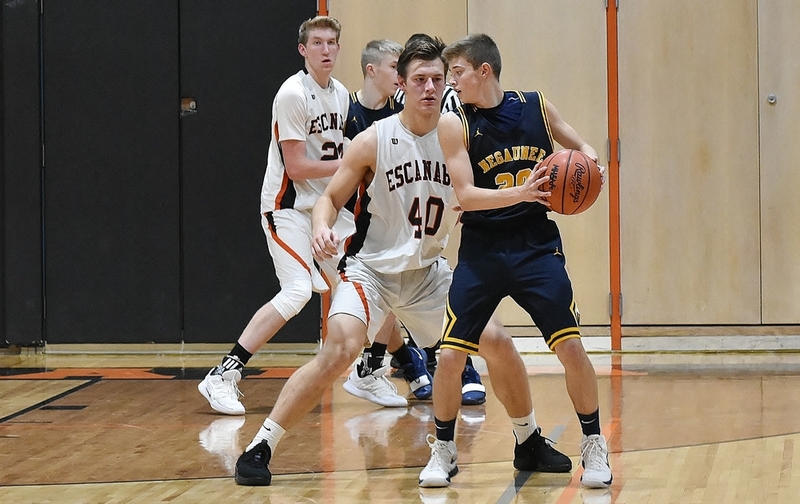 ESCANABA---The Escanaba High School basketball team rallied for a 61-57 win over the Negaunee Miners Tuesday night in their season opener. 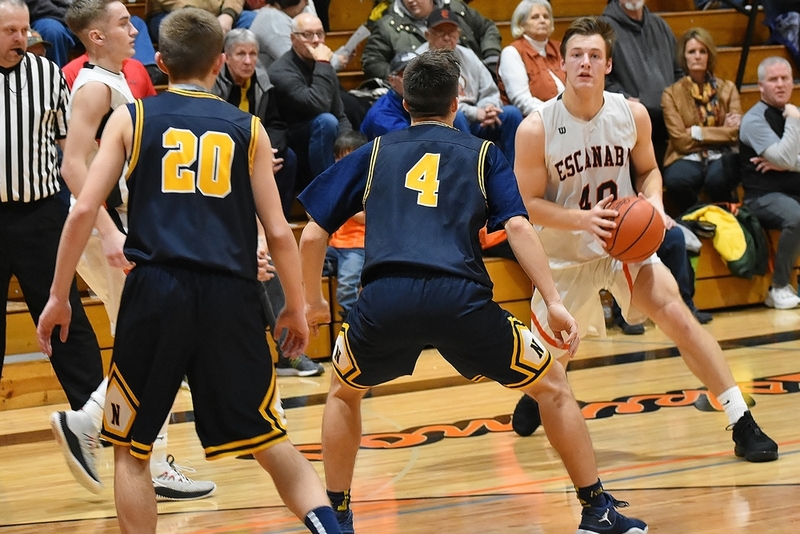 Jared Nash got a steal and lay-up in the final seconds to seal the Eskymo win. 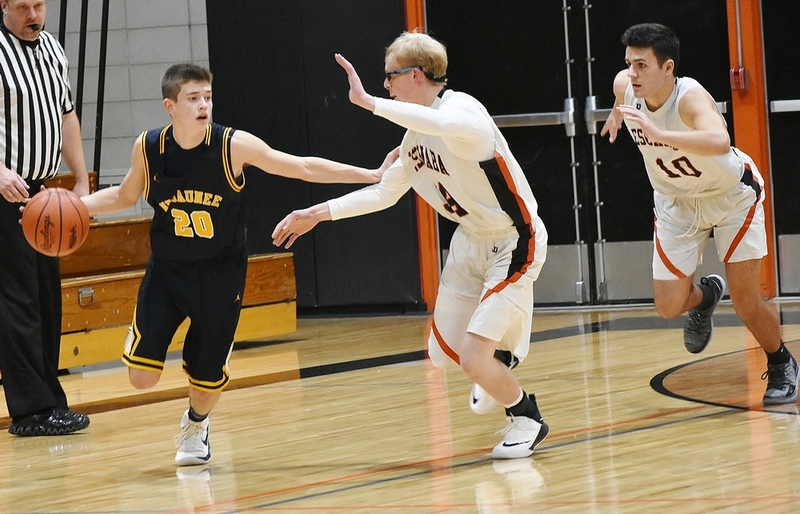 Negaunee closed the first half on a 10-0 run to take a 30-21 lead into the locker room. 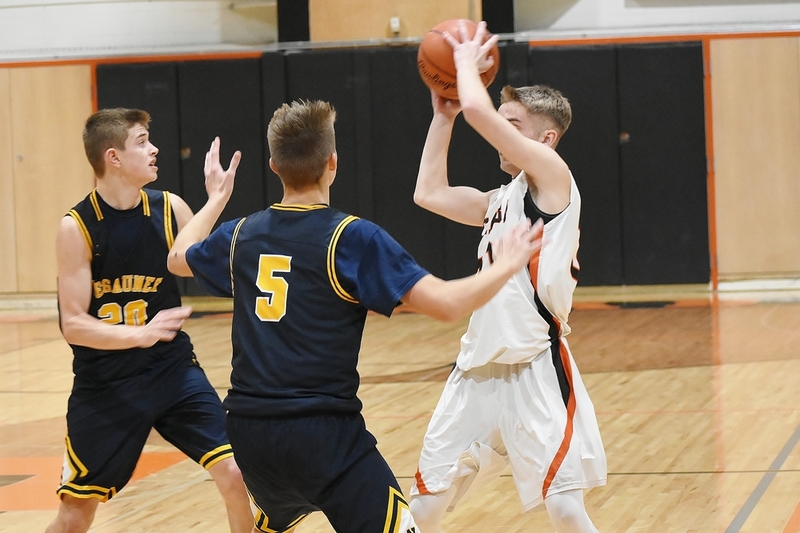 The Miners held the lead throughout the entire second half, holding an eight point advantage in the game's final three minutes. 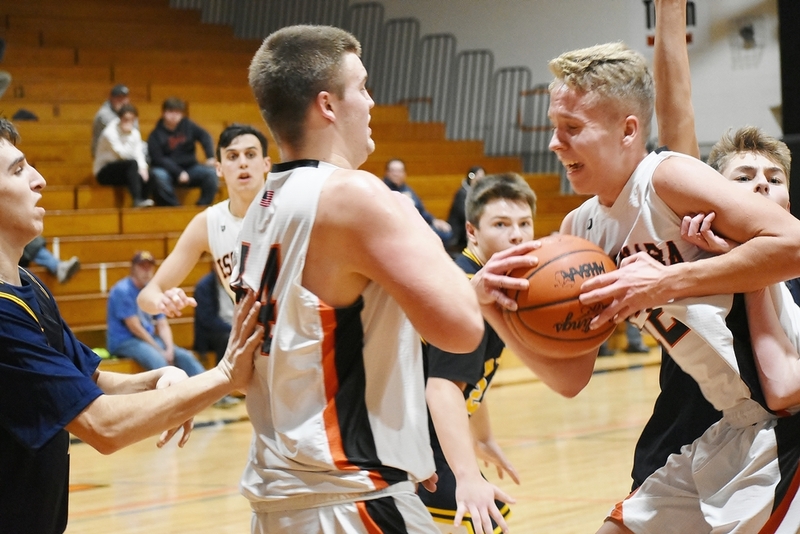 But the Eskymos rallied as Austin Willette got a basket and a foul, Craig Kamin streaked to the basket for a lay-up, and Nash scored inside. 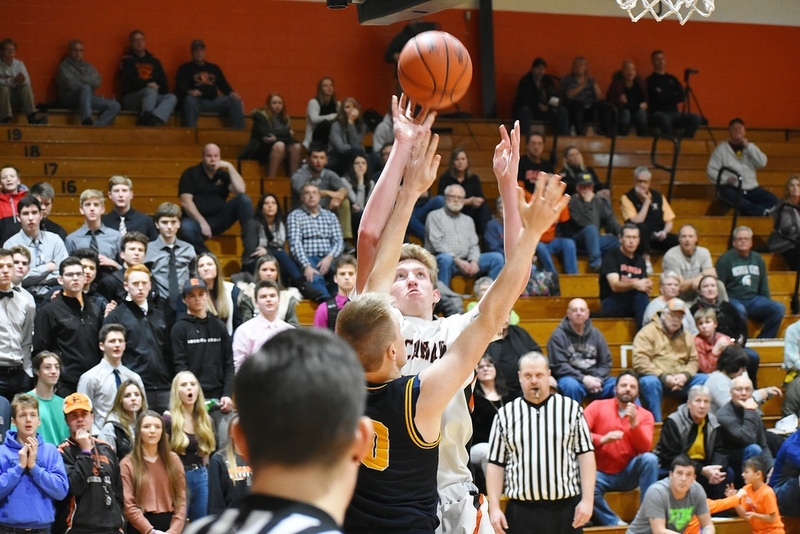 Jakson Sager had an "and-one" in the lane, and Drew Lindberg drilled a three-pointer from NBA land. 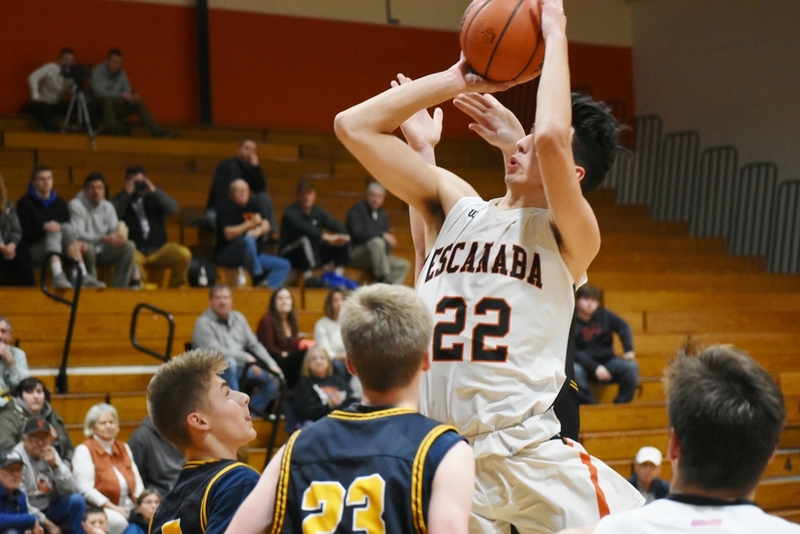 Jason Waterman scored a three from the top of the key to tie the game at 55-55, but Carter Hudson followed a blocked shot with a putback to put Escanaba in front. 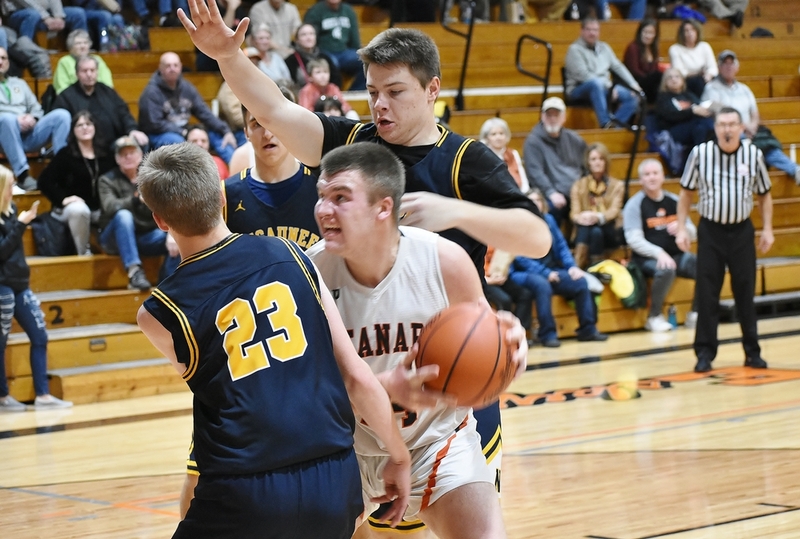 With 17.9 seconds left, the Miners were down, 59-57, and after a time out, set up for a possible tying basket (or winning three-pointer). 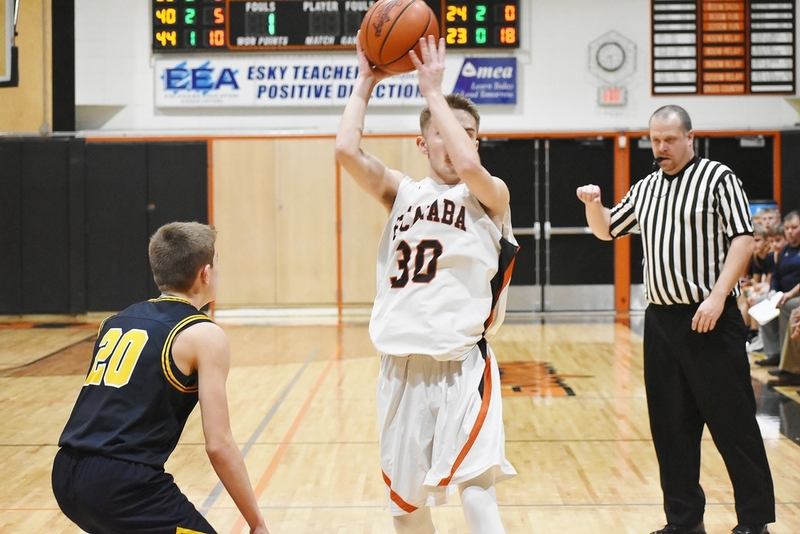 But Nash stole the ball near the top of the key and went in all alone for the basket that ended the game for Escanaba. 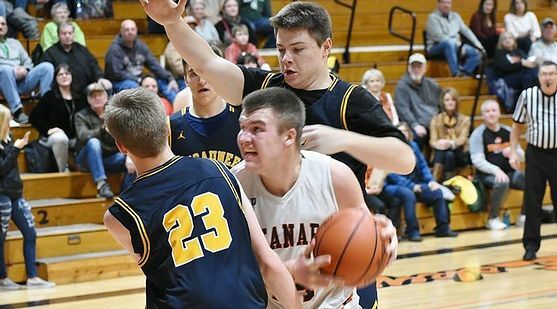 Nash scored 16 points, Hudson added 12, and Kamin scored 11 for Escanaba. 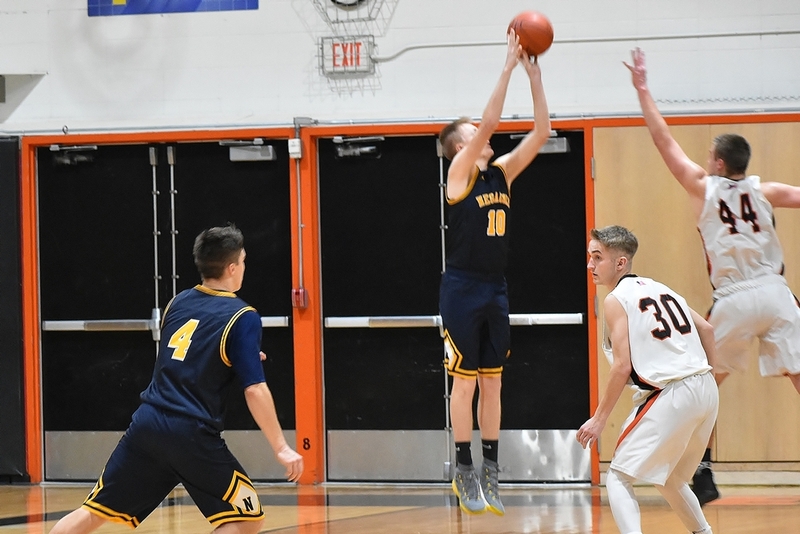 Negaunee got 21 points from Lindberg, 16 from Sager, and 14 from Waterman. 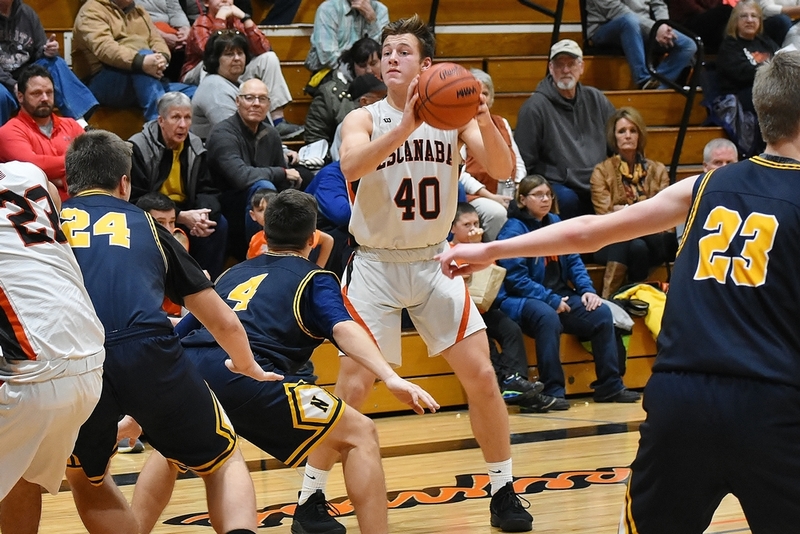 Click the above headline to see photos, videos, and hear post-game comments from Jared Nash and Austin Willette.